Believed to date back to 1785, this gorgeous stone house is full of character. 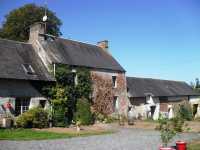 Surrounded by its own gardens it is hidden away in the countryside just a few mins drive from Coutances. Ideal family or holiday home 2 minutes away from La Haye Du Puits and 15 minutes from the west coast of the Cotentin peninsula. This pretty stone house sits in the middle of its own land and enjoys far reaching views across the open countryside. AHIN-SG-2019 • Torigni sur Vire • A Group of Four properties with a total of 8 Bedrooms on 2.8 Hectares of land. A great opportunity to acquire four lovely individual homes, ideal for a large family or to create a gite complex, surrounded by open countryside. Sitting on the hillside on the edge of the village, this property offers fantastic views across the open countryside. It needs some updating but offers great potential with plenty of outside space. 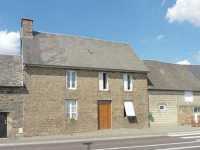 AHIN-SP-001077 Nr St Pois 50670 Pretty stone house to finish renovating with 3/4 acre in Normandy enjoying stunning views. 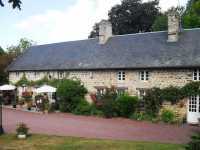 AHIN-SP-001074 Nr Tessy sur Vire 50420 Village house with versatile accommodation and garden near a lake, play area and bar/restaurant in a great area for walkers. If this isn’t just the maddest opportunity for the price - I’ll eat my beret! 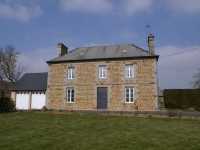 Just 10 minutes from services and schools, a Maison d’Maitre in stone with outbuildings on appx. 5,200 m² (with the possibility of 4.5 hectares of additional ground). A great project with lots of potential. 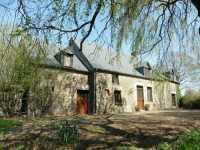 AHIN-MF-1022DM50 St Hilaire du Harcouet 4 bedroomed house on over an acre! 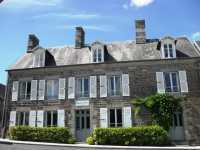 Just minutes from the nearest shops, 15 minutes from St Hilaire du Harcouet, 35 minutes from Fougeres. 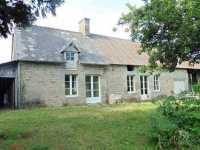 10 minutes from St Hilaire du Harcouet, schools and shops Village house to renovate with beautiful outbuilding and garden. 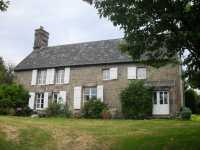 AHIN-MF-986DM50 Nr Ducey 50220 3 bedroom house with conservatory, 2.25 hectares bordered by river and gorgeous view! 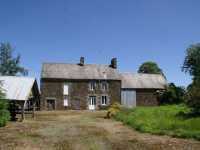 Renovated house with superb view in Normandy with an acre and a quarter, second house to renovate and small detached barn. 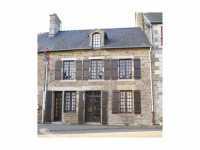 AHIN-SP-001061 Villedieu-les-Poêles 50800 Spacious detached stone house on outskirts of vibrant Town - ideal to create B&B or for large family home. The property benefits from spacious accommodation with light rooms, bay windows, and high ceilings (2.75m on the ground floor) built to an "English" style architecture from Caen stone. 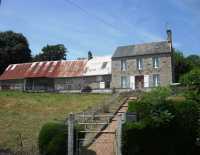 AHIN-SP-001060 • Nr St Hilaire 3 Bedroomed Detached village house with attached barns (offering room to extend the accommodation) and enclosed garden. The property benefits from double glazed windows most of which have shutters, mains drainage and a convenient location. Most of the renovation works have been carried out over the last 12 years including new floors, a roof overhaul, plumbing, electricity. 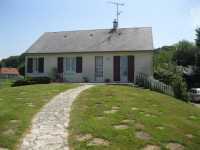 AHIN-SP-001059 - Nr Mortain 4 Bed Detached house and 3 Bed Gîte with superb views in Normandy - ideally placed for B&B. 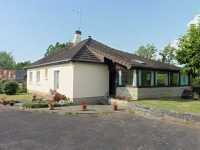 Further land of up to one and a quarter acres is available separately.